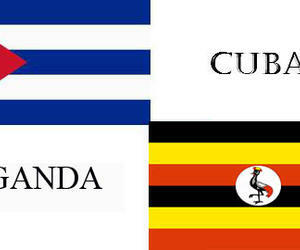 Uganda’s Minister of Agriculture, Animal Industry and Fishing, Vincent Bamulangaki Ssempijja and Cuba’s ambassador to that African nation, Antonio Luis Pubillones analyzed on Tuesday the current state of bilateral relations in particular in agriculture. According to the official website of the Cuban Foreign Ministry, both sides coincided in the need to jointly work in strengthening and diversifying the historic friendship and cooperation ties between both nations. The Ugandan official thanked the Cuban ambassador’s visit and characterized it as an excellent opportunity to begin to develop and broaden cooperation ties in the agricultural sector. The ambassador on his part referred to the damages inflicted by the US blockade to the Caribbean island which he stressed continued in effect and hurting the agricultural, cattle and tobacco sectors. He also thanked the Ugandan government and people for their sustained support to the Cuban Resolution at the UN against the unjust an illegal economic blockade against Cuba. Pubillones also said that despite the damages inflicted on Cuban agriculture and other sectors of the island economy, his government maintains the commitment to foment cooperation between both countries and contribute to the economic and social development of Uganda. The Republic of Uganda is located in the central eastern part of the African continent and agriculture is its main economic sector which coffee being its main exporting product.